Elton John, King of Pop? Growing up, Elton John was a common name in my household while growing up and so made an easy, but interesting subject to search in both databases. Elton John, 1974 North American Tour. 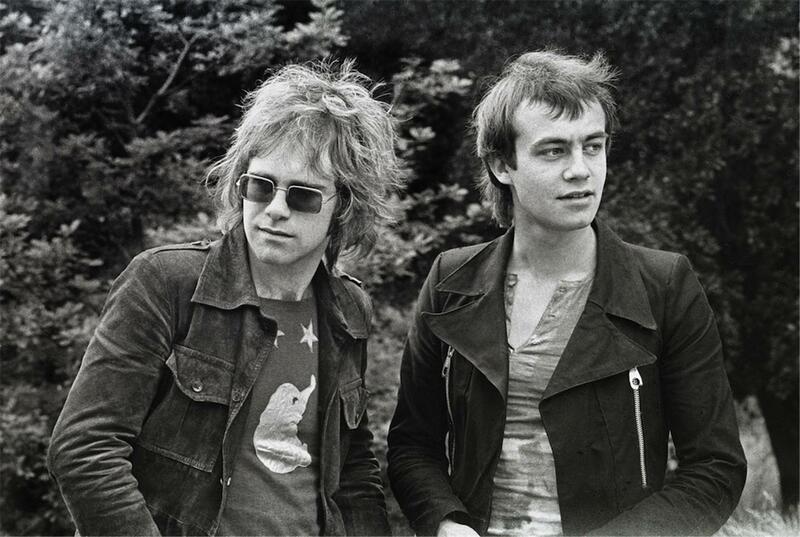 Elton John (left) and Bernie Taupin (right). professionally in 1965 when acquired work opening for American artists. However, soon after Reginald was looking for more control in his performing life. He auditions for the groups King Crimson and Gentle Giant. And it was around this time that he started communicating with composer Bernie Taupin. It was during their initial communications that Reginald switched his name to Elton John. 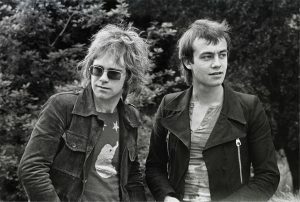 This pair is what eventually led John to his success that began in 1970 with the release of Johns second album titled Elton John. Now why give John the title of Kong of Pop when it has been considered Michael Jackson’s for so long (I am, in no way trying to diminish Jackson’s influence or importance, only acknowledge someone else)? In part it is due to his success listed above, but it is also due to his theatrical stage presence in all of his concerts, his eccentric and flamboyant attitude, as well as his current position within pop culture. Alongside Rolling Stones and The Beatles, he is one of the top-selling British Artists of the 20th and 21st centuries. And still performing today, he is a testament to the growth and development of pop culture. Another reason I find that John could be considered another King of Pop is because of the style of his music. In the same article linked above, John and Taupin’s music is described as “[looking] longingly back to an older America of Country Gospel songs… and of headliners of the thirties, fours, and fifties.” This musical connection to the past makes his music very accessible to older generations, the lyrics connect primarily with people of his and younger generations, and lastly his costumes, in ways, pay tribute to the flair of early musicals. All in all, John’s stage presence, his music, and Taupin’s lyrics create a unique repertoire within the standards of Pop music that, like many of the great “classical” composers, have become timeless to me. “Elton Looks Back in Time.” 1975.Chicago Defender (Big Weekend Edition) (1973-1975), Aug 02, 1. https://search-proquest-com.ezproxy.stolaf.edu/docview/194083567?accountid=351. Keno. “Elton John.” Elton John Bio. 2001. Accessed October 16, 2017. http://www.keno.org/classic_rock/elton_john_bio.htm.